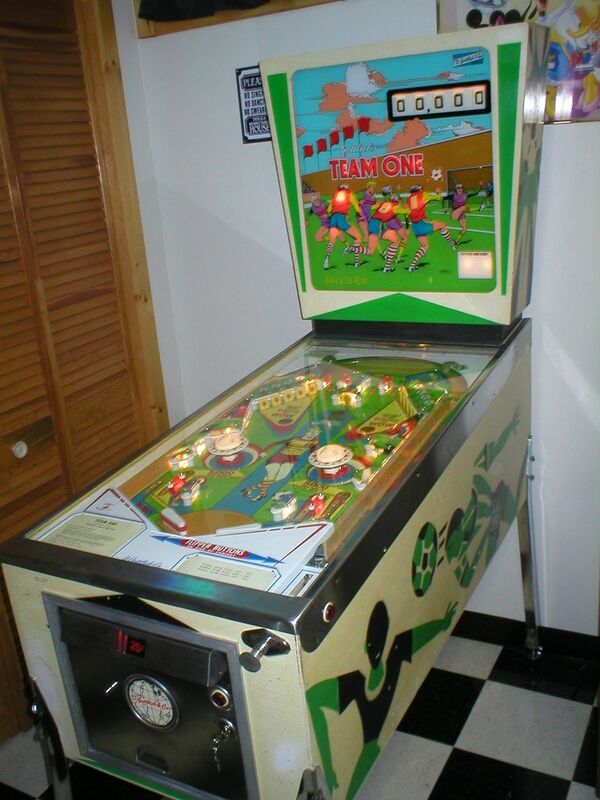 Description: Gottlieb Team one pinball. Team One was the add-a-ball version of Abracadabra, but with completely different artwork, and a release of nearly 1.5 years later. Two banks of 5 drop targets, two pop bumpers, two upper slingshots, two 3" flippers. Single player wedgehead cabinet design. Because Team One was so made much later, it uses the newer & larger 'Columbia Pictures' lower cabinet and coin door. They made 2825 Gottlieb Abra-Ca-Dabra pinballs. They made 650 Gottlieb Team One pinballs.